Our patented S-Flex® rubber expansion joint is designed to replace aging and inferior rubber “dog bone” type expansion joints and is suitable for turbine exhaust to condenser inlet applications. The unique preformed “S” shaped web allows for a full range of adjustability during installation, effectively eliminating the common issue of misalignment – changes in the distance between the turbine exhaust and condenser inlet from its original design criteria. The flexibility of our S-Flex® greatly reduces the loads imparted to the turbine and clamping components during operation by as much as 85% to 90% and also greatly reduces the potential for air-in-leakage compared to the conventional “dog bone” design. Our S-Flex® rubber expansion joint is available in two sizes that can accommodate nearly every standard application and is compatible with the existing “dog bone” hardware and components. The industry standard for tube vibration resolution, the Cradle-Lock® design is installed into the tube bundle midway between support plates, locking the tubes into a vibration-free unit. 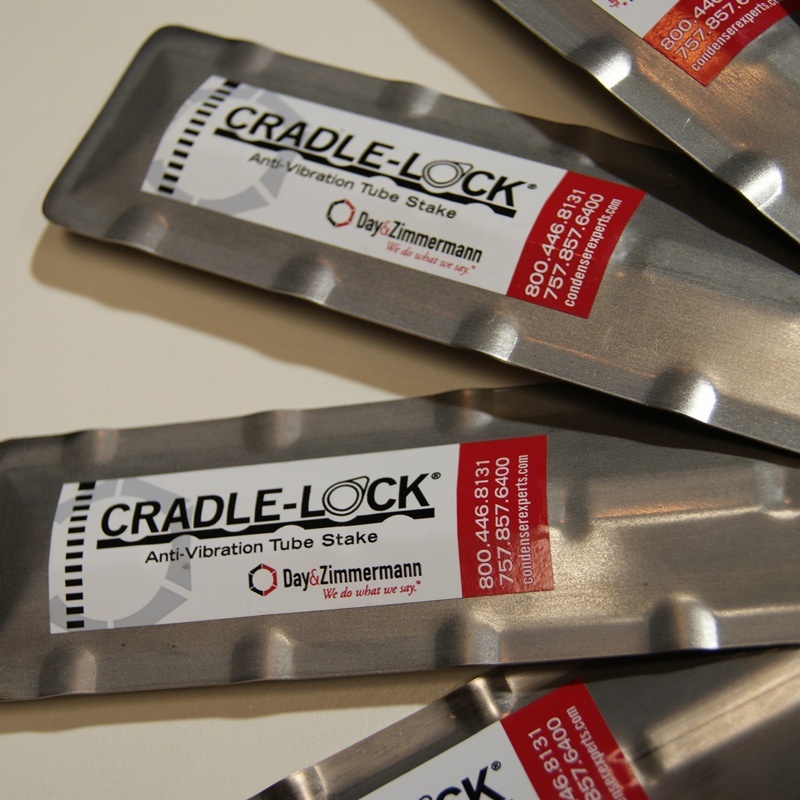 With a variety of design types and sizes, Cradle-Lock® eliminates tube damage due to vibration. We have a proven record of success in staking condensers and heat exchangers of all makes and sizes using our innovative and patented designs for straight, back-to-back, and spring stakes. 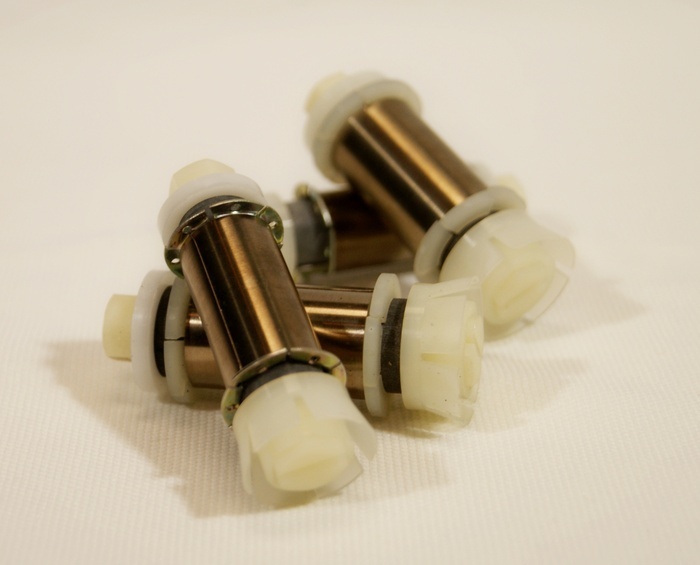 Eliminate tube damage as a result of vibration. 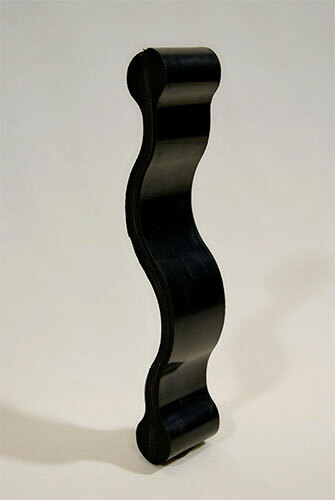 To replace existing tubes with lighter, thinner materials such as Titanium, Sea-Cure®, AL-6XN, or other exotic alloys. To reduce excessive support plate spacing, especially if the condenser was fabricated prior to 1977, preceding HEI support plate specifications. As part of a power up-rate project to protect tube bundles against higher steam velocities. The S-Flex II® rubber expansion joint system uses the same proven “S” shape design of the original S-Flex® but with approximately one half of the bulb. By making one side flat, we improved the overall sealing capability and further reduced the susceptibility of air-in-leakage. The S-Flex II® rubber expansion joint system is primarily used in new construction as an OEM component of the steam surface condenser, but Day & Zimmermann can also custom design it as a retrofit for replacing an existing failed metal bellows type system or rubber “U” joint design. The S-Flex II® rubber expansion joint system is custom engineered and designed for each specific application and will accommodate any unique challenges. Day & Zimmermann’s patented Acc-U-Clean® Adjustable Tube Cleaner features 12 independent blades positioned around a neoprene core and held in place by a flexible spring steel sleeve. This unique configuration makes the Acc-U-Clean® effective on virtually all forms of scaling, bio-fouling, and corrosion and allows the cleaner to maintain its integrity by applying constant pressures pass after pass. Its patented adjustable design completely scours the ID of your straight condenser and heat exchanger tubes and lasts twice as long as standard cleaners. 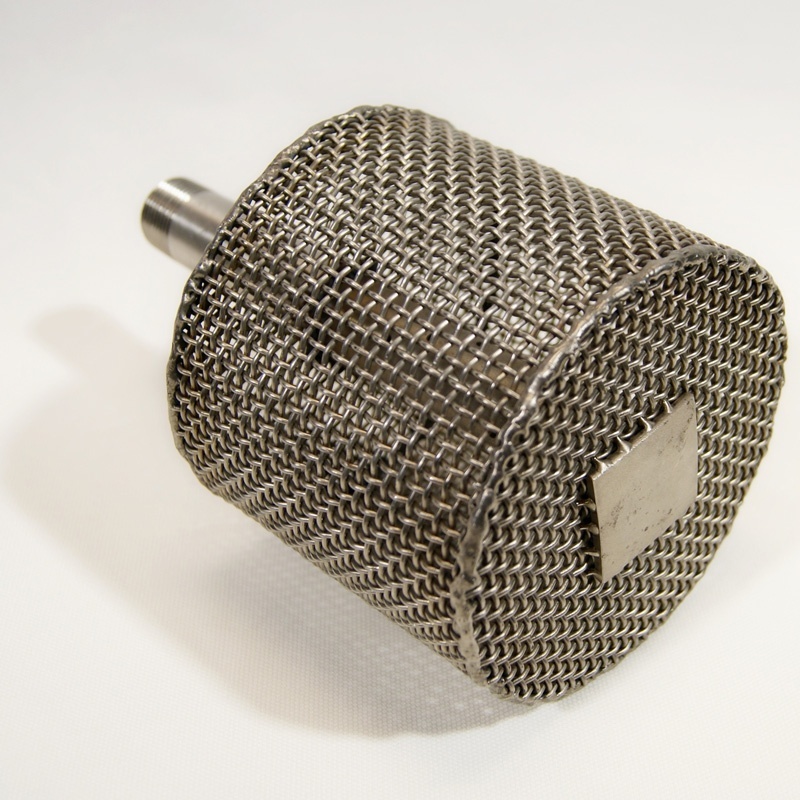 Day & Zimmermann’s basket tip assemblies are manufactured of heavy-duty stainless steel and designed in accordance with ASME specifications, performance monitoring, and test codes. We offer replacement basket tip assemblies at a reduced cost and lead-time compared to the OEM condenser manufacturers. Our inventory is available with a plain connection intended for field welding, or an NPT threaded connection for an existing threaded pipe. Day & Zimmermann can even custom design connections to meet your exact requirements. Day & Zimmermann’s brass and fiber-jacketed plugs are used throughout the industry for low-pressure, low operating temperature conditions found in steam surface condenser applications. 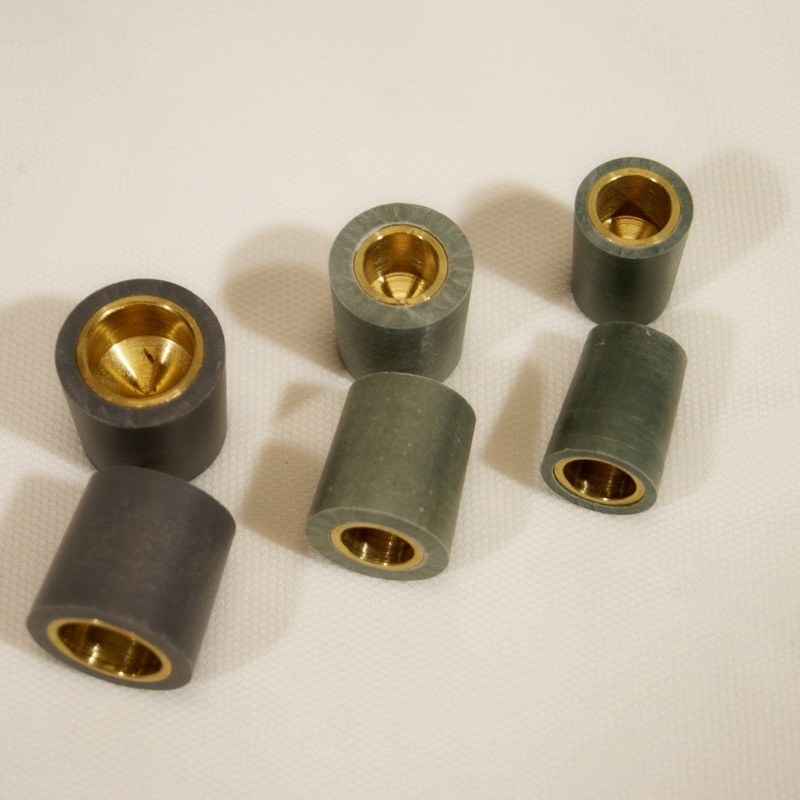 Unlike solid brass plugs, which can damage or deform tubesheet ligaments, our brass and fiber-jacketed plugs are an ideal choice for their excellent sealing properties, low cost, and ease of installation. We offer both tube and tubesheet plugs and maintain an inventory of the most commonly used sizes, available in 3/4”, 7/8”, 1”, 1-1/8”, and 1-1/4” nominal diameters.